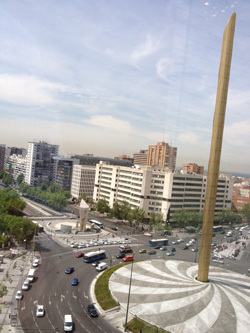 I took the subway up to Plaza de Castilla to go to work. 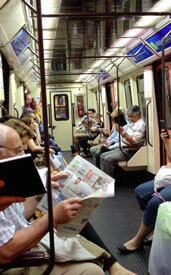 Everyone was very well behaved. 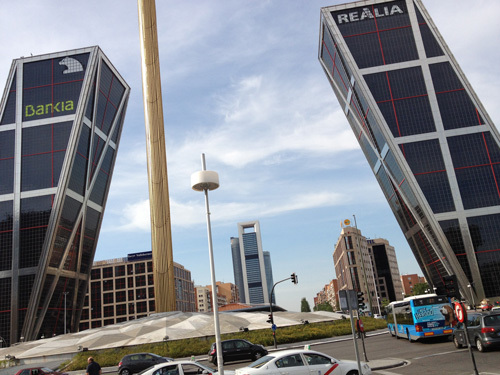 These two buildings, the leaning towers of Madrid, are unlike anything I've ever seen before. It was an odd coincidence that on the days that I saw them, Bankia was threatening to collapse, and being rescued by a bailout from the Spanish government. It looks a bit like it's falling over.